for $795,000. The lot size is 8000. 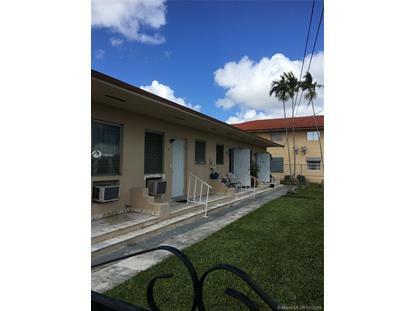 THIS IMMACULATE CENTRALLY LOCATED 5 UNIT PROPERTY ZONED (MULTI-FAMILY 2-9 UNITS) SITS ON 8000' SQ FT LOT ACROSS STREET FROM WALGREENS /BUS/ RESTAURANTS/PUBLIX/ CORAL GABLES STRATEGIC LOCATION FEW MINUTES TO MIAMI INTERNATIONAL AIRPORT AND 836/PALMETTO EXPRESSWAYS ONE STORY 4 UNIT BUILDING ALL 1 /1 PLUS 2/1 HOUSE ALL IN GREAT CONDITION SHINGLE ROOF AND 2 A/C UNITS IN EACH APARTMENT. 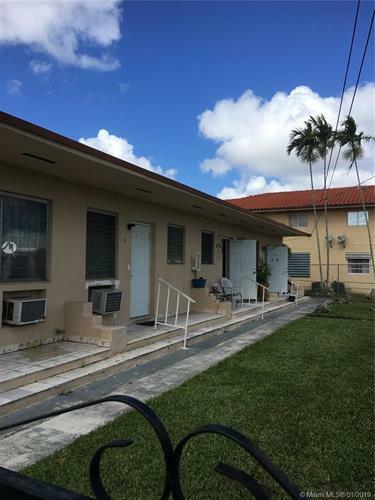 ALL UNITS LEASED $800.00 MONTH LONG TERM TENANTS.CANNOT GO WITHOUT LISTING AGENT APPOINTMENT !MUST CALL 24-48 HOURS AHEAD LISTING AGENT. ($183, 000 PER UNIT). AGENT MUST ACCOMPANY!!!!!!!! !